The following international travel tips are mostly from my own personal experience. 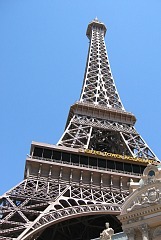 When you visit abroad and enjoy the great cuisine I want you to have a fun and enjoyable trip. My goal is to share tips with you to prevent undesirable things from happening that might leave bad feelings linger with you. The best of all travel tips is to PLAN AHEAD. First decide who you will make the trip with. Do you have the same things in common with this person or persons? If someone is hard to get along with under normal circumstances at home, it will be even harder confined with them for many days. Even little issues such as desiring to eat the same types of food can become a big issue. Review the itinerary with them so everyone understands. We hope not, but you may have to put them on a plane and ship them home early! Choose your destination wisely and what activities you will be participating in. If you are not adventuresome, you will not enjoy hiking up a mountain in Ecuador to the volcano. One of the important international travel tips is making sure everyone in your group understands the activities. They can make your life miserable! Good international travels tips include knowing a few important words of the local language. Words like good morning, good day, how are you will help you get a good response from the local people. Words like where is the bathroom, where is a place to eat or where is a hotel will make your life more enjoyable. I carry a small translation dictionary with me since my Spanish is not very good. Once you have decided on your destination, check the flights. Coordinating your departure, arrival and journey time to location are very important international travel tips. 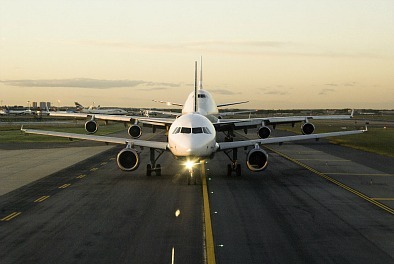 If your destination there is a good ways from the airport, your arrival time is very important. One of the international travel tips that could ruin your whole vacation is if you do not feel well, reschedule the trip. The high altitude flying will exasperate your illness. Once I picked up the flu on the plane from someone who was sick. By the time I landed I was really sick. After two days I returned home to see my doctor. He said the altitude with the flu is why I got so sick. It took a couple months for me to feel normal again. Also I would like to add a tip from my own personal international travel tips. The airlines usually offer you food when flying at mealtime. These meals are very heavy foods for flying, especially to high altitudes. It is best to not eat these meals on the plane. I purchase dark chocolate bars (60% cocoa content) to eat on the plane. Chocolate helps with altitude sickness. PARTY MIX RECIPE I always include this recipe in my international travel tips. One of the good travel tips that I try to always do is when packing for a trip, I pack snack recipes. In this party mix recipe the salt and chocolate seems to settle any upset stomach and is a good replacement for any heavy foods. 12 Ounces semi sweet chocolate chips. Melt butter in a large shallow pan; remove from heat and stir in Worcestershire sauce and seasoned salt. Gradually stir in cereals, nuts and pretzels until all pieces are coated. Bake 1 hour stirring every 15 minutes; spread on paper towels to cool. When COLD stir in chocolate chips; store in airtight container. Packing snack recipes also rates high as good travel tips because you do not know what will be open when you arrive. I have found many small areas even here in the United States close down when you would not think, especially on Sundays. Be prepared when traveling. Combine and mix oats, wheat germ, oil, honey and vanilla; spread on cookie sheet. Bake 1 hour stirring every 15 minutes; remove from heat. Stir in fruits, coconut, sesame seeds, cashews and sunflower seeds. When COLD stir in chocolate pieces; store in sealed container. Very important of the international travel tips is to be sure your host or connections there are reliable. Nothing can be more devastating for your trip than not being met at the airport if you are expecting to be. I have met people that this has happened to and it ruined their entire trip. We do not want this to happen! Make sure your greeter will be holding a sign and what the sign will say. It helps if someone is there to greet you, help with your bags and hurry you away in a taxi to your destination. Before making reservations to travel make sure you have a valid passport if you need one. It must have at least 6 good months left on it. Find it and keep it handy. I know of people who waited the last minute and couldn’t find theirs for the trip. Don’t let that happen to you. Also it is good to have a passport pouch to hang around your neck and keep your passport in it. I lost mine on one trip and I found that they are very valuable there. I was told my passport could bring as high as $10,000 to $15,000 so hang on to yours. Fortunately a hunt was on by my friends and I got it back! 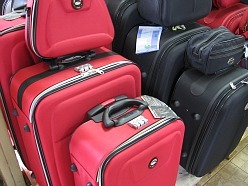 When checking for flights also check with the airline for baggage requirements. How many bags can you take? What are their weight limits? These change from time to time so it is best to check each time you travel. Weigh your luggage before you leave for the airport. Recently when I flew, my baggage was a little over weight. I had to go downstairs, wait in another line to pay the extra charges. This time could account for even missing your flight! Let me share another experience I had at the airport in Miami. I was carrying a backpack weighing about 7-9 pounds. It was only a pillow which I sucked out the air to condense it. After checking my baggage in, the pillow decided to fill back up with air so it grew. The guard made me check it in and pay $100 just for the backpack. Of all international travel tips just remember that anything can happen when flying! Be prepared! IMPORTANT NOTE: THERE IS AN AIRPORT TAX WHEN YOU LEAVE SOME COUNTRIES. THIS MUST BE PAID IN CASH OR YOU CANNOT LEAVE THE COUNTRY. (NO CHECKS-NO CREDIT CARDS-ONLY CASH) BEFORE I LEAVE THE US, I PUT $100 BACK IN MY WALLET TO COVER THIS TAX. I BELIEVE IT IS ABOUT $30-$40 FOR EACH PERSON. Very high on the list of international travel tips is packing for a trip. The climate and weather plays a very significant role in what you should pack for the trip. If you arrive in through the day, it will probably be from warmer. At night it can be colder so you will need to have something warm handy. I have found that layering is the best way to dress. I take long slacks or jeans (short pants above lower calf of leg are not appropriate)to wear through the day and light weight shirts, a sweater and a light weight jacket. If you start out in the morning and are gone all day, you will probably have everything on. Then you will remove your jacket, then the sweater. In the afternoon you will add the sweater and about 4:00 you will add the jacket. You might want to dress up a little for dinner, however it is understandable if you are too tired and want to wear your daily wear. Also don’t forget to bring comfortable shoes for lots of walking and a thin rain cape might come in handy. Anyway all this should be considered when packing. Rolling your clothes lets you get more into your luggage but remember to weigh it and stay within the airline weight restrictions. Be aware of the hotels in which you will be staying. Some people like to “rough it” but not me. When I return home at night I want a good nights sleep with good beds. If I don’t know the hotels in the area I usually stick with American chains where the staff is there to meet your American needs. Local currency is another item in my International Travel Tips. I have found it very helpful to carry small bills for bartering, taxis etc. Also a roll of quarters has been very useful. This brings to another point. I have been told that there are pick pocketing in many countries especially when the markets are busy. I have never had one problem but my friends tell me to carry a zipped purse so as not to make it easy for them. This is what I do. You should also know that ATM machines are available to make withdrawals from your account. I am asked very often “How safe is travel”. I have never had any problems but I am always cautious even here in the US. I always know where I am going and with whom I am going to be with. There are areas in every country where you should not go. The US State Department can advise you of these areas and add many additional international travel tips. Good international travel tips will always recommend packing a few snacks. This spice cookie recipe is a good one to bake and pack in your suitcase. The spices help to settle an upset stomach from traveling. In case there is no food available, they are good to hold you over. Pack in a secure container and place in the middle of your suitcase between layers of clothes. Combine sifted flour, soda and spices: sift three times. Add egg and molasses and beat thoroughly. Add flour mixture gradually beating well after each addition. Chill dough; roll into small balls. Dip tops in granulated sugar and place sugar side up on greased baking sheet. Bake in preheated oven at 350F degrees about 10 to 12 minutes or until set. Cool completely on rack; do not stack until cold. In my international travel tips I always recommend taking something containing chocolate. Melt chips in double boiler and stir until melted. Remove from heat; add noodles and nuts and stir thoroughly. Line cookie sheet with wax paper; drop heaping teaspoonful on wax paper. Cool at least 1 hour; if packing set until cold.